Shri Shenoy Vishwanath Vittal, Executive Director, Indian Bank has been co-opted as an Additional Director on the Board with effect from 11th February 2019. Shri Shenoy Vishwanath Vittal, aged 56, is a commerce graduate from Mumbai University. He joined as Probationary Officer in Union Bank of India on 17th January, 1985. He is also an Associate member of Indian Institute of Bankers and successfully underwent one year Management Education Programme conducted internally by the Union Bank of India. He is a career Banker since last 35 years. Shri P L V K Sesha Sai, Assistant General Manager, Indian Bank (Nominee of Indian Bank) was appointed as President & Whole Time Director of the company by the Board of Directors of the company with effect from 06.08.2018, Shri P L V K Sesha Sai, aged 57 holds a Bachelors Degree in Commerce with CAIIB qualification. He is currently occupying the position of Assistant General Manager of Indian Bank and is on deputation to the company. He has over 34 years of experience in various areas in the banking and financial service industry. Shri A S Rajeev, Executive Director, Indian Bank has been co-opted as a Director on the Board with effect from 28th March 2016. Shri A S Rajeev, aged 51 is a Chartered Accountant with MBA and CAIIB qualifications. He is currently occupying the position of Executive Director of Indian Bank. He has over 25 years of experience in various areas in the banking industry. Shri S Krishnan, General Manager, Indian Bank has been co-opted as a Director on the Board with effect from 13th August 2015. Shri S Krishnan, aged 53 years holds a Post Graduate Degree in Commerce along with ICWA and CAIIB qualifications. He currently occupying the position of General Manager of Indian Bank. He has 32 years of experience in various areas in the banking industry. Shri V Gopal, General Manager, Indian Bank has been co-opted as a Director on the Board with effect from 13th August 2015. Shri V Gopal aged 55 holds a Graduate Degree in Science. He is currently occupying the position of General Manager of Indian Bank. He has 35 years of experience in various areas in the banking industry. Shri B Raj Kumar, Executive Director, Indian Bank, has been co-opted as a Director on the Board with effect from 29th June 2013. Shri B Raj Kumar, aged 57 years holds Post Graduate Degree in Engineering with MBA and CAIIB. He has more than 34 years of experience in various positions in the banking industry. Shri K Udaya Bhaskara Reddy, General Manager, Indian Bank, has been co-opted as a Director on the Board with effect from 9th August 2014. Shri K Udaya Bhaskara Reddy aged 54 holds a Post Graduate Degree in Agricultural Science and an MBA (Finance) with other qualifications. He is currently occupying the position of General Manager of Indian Bank. He has 30 years of experience in various areas in the banking industry. Smt Chitra Murali has been co-opted as a Director on the Board with effect from 20.11.2013. Smt Chitra Murali, aged 50 years holds Post Graduate Degree in Commerce with CISA (ISCA, USA), CIA and other qualifications. She served in Indian Audit and Accounts Department for 21 years. She has around 25 years of experience in the field of audit with hands on experience in various facets of audit including information System Audit and Internal Audit. Shri G R Sundaravadivel has been co-opted as a Director on the Board with effect from 20.11.2013. Shri G R Sundaravadivel, aged 72 years holds Post Graduate Degree in Commerce with B.G.L.and CAIIB. He has more than 37 years of experience in various positions in the banking industry. He is a retired General Manager of Indian Bank and retired Executive Director of United Bank of India. Shri Rajeev Rishi, Executive Director, Indian Bank, has been co-opted as an Additional Director/Chairman on the Board with effect from 13th June 2011. Shri V Rajeev Rishi aged 51 years, holds a Bachelors degree in Arts and LLB. He has more than 32 years of experience in various positions in the Banking industry. Shri N Easwaran, General Manager, Indian Bank, has been co-opted as an Additional Director on the Board with effect from April 30, 2011. Shri P M Venkatasubramanian, retired Managing Director, General Insurance Company and Chairman, Royal Sundaram Alliance Insurance Company Ltd has been co-opted by the Company's Board as an Independent Non-Executive Director with effect from April 16, 2010. Shri P V Rajaraman, IAS(Retd) has been co-opted as an Independent Director Non-Executive Director on the Board with effect from July 15, 2009. Shri Anup Sankar Bhattacharya, Executive Director, Indian Bank, has been co-opted as an Additional Director/Chairman on the Board with effect from July 15, 2009. Shri P V Rajaraman, IAS(Retd) has been co-opted as an Independent Director on the Board with effect from July 15, 2009. Shri. 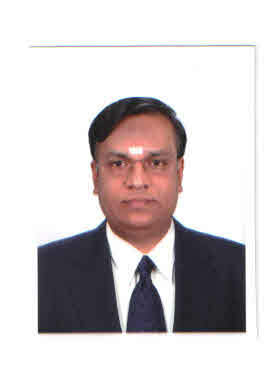 Sri Ramanan, M. Sc, CAIIB (Part I), General Manager, Indian Bank has been co-opted as Additional Director on our Board with effect from 16.04.2008. Shri. A. Subramanian, Executive Director, Indian Bank has been co-opted as Additional Director on our Board with effect from 19.07.2007 in place of Shri. M. S. Sundara Rajan, Director who has vacated office as Director consequent to his appointment as Chairman & Managing Director, Indian Bank with effect from 04.06.2007. Shri T M Nagarajan, M.Com, CAIIB, Former Wholetime Member, SEBI, Former Joint Managing Director, IDBI and Former Chairman, Stock Holding Corporation of India Limited has been co-opted as an Additional Director on our Board with effect from 19.7.2006. Shri V Ganesan, B.Sc, FCA, ACS, Deputy General Manager, Indian Bank nominated by Indian Bank for appointment as Director has been co-opted as an Additional Director on our Board with effect from 19.7.2006 in place of Shri T R Chandrasekaran, Director who has vacated office as Director consequent his retirement from the services of Indian Bank. Shri A S Rajeev, Nominee Director submitted his resignation from the Directorship of the Company on 30.11.2018 consequent to his appointment as Managing Director and Chief Executive Officer of Bank of Maharashtra. The same was taken on record by our Board on 21.12.2018 through resolution passed by circulation. Shri V Gopal, Director submitted resignation as Director on our Board on 03.08.2016 consequent to nomination of Shri M Nagarajan, General Manager of Indian Bank in his place. The same was taken on record by our Board on 06.08.2016. Shri Ashwini Kumar Bajpai, Deputy General Manager, Indian Bank, has been appointed as President & Wholetime Director of the company from 04.01.2016 in place of Shri Banabihari Panda who has resigned as President & Wholetime Director consequent to his attaining superannuation. Shri Ashwini Kumar Bajpai aged 57 holds a Graduate Degree in Arts and CAIIB qualified. He is currently occupying the position of Deputy General Manager of Indian Bank. He has 32 years of experience in various areas in the banking industry. 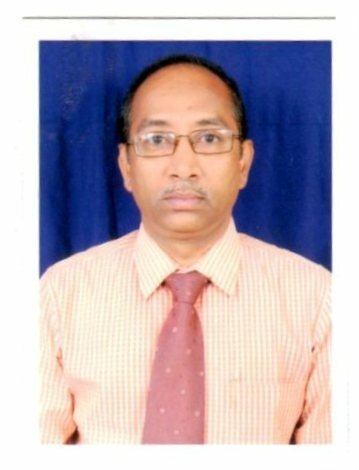 Shri Banabihari Panda, General Manager, Indian Bank has been appointed as the President & Wholetime Director of the company from 26.05.2011 in place of Shri G. Rangarajan who has resigned as Appointment of Director consequent to his repatriation to Indian Bank. Shri Banabihari Panda aged 55 is a B.A. (Hons), LLB, MA, MBA and holds diploma in International Banking & Finance, Certififed Treasury Manager Program, Diploma in Treasury, Investment and Risk Management and CAIIB qualifications. He is currently occupying the position of General Manager of Indian Bank. He has 34 years of experience in various areas in the banking industry. Our company has subscribed to the IDeAS facility provided by NSDL. From now onwards IBMBS customers can gain access to IDeAS (Internet - based Demat Account Statement) offered by NSDL. Just register by clicking the link : https:// speed-e.nsdl.com. Print the Acknowledgement Form and submit to us to access IDeAS. Use the services and save your time!!! Our company has subscribed to the SPEED-e facility provided by NSDL. From now, you can submit your Delivery Instructions online. Just Register for SPEED-e through the link: https:// speed-e.nsdl.com. The Board of Directors have accorded approval for the proposal for the merger of Indian Bank DP with Company's DP in accordance with NSDL regulations. Indian Bank has accorded their approval for the proposal for transfer of Indian Bank Demat business to lndbank Merchant Banking Services Ltd in accordance with NSDL regulations. Indian Bank Demat accounts will be transferred to Indbank Merchant Banking Services Lid, after complying with the procedures and requirements in accordance with NSDL regulations. Indbank has convened the 21st Annual General Meeting of the company on 28.07.2010 at 3.00 p.m at Indian Bank Management Academy for Growth & Excellence (IMAGE), MRC Nagar, Raja Annamalaipuram, Chennai - 600 028 to approve accounts and to transact other business listed in the notice dated 28.04.2010 which has been posted to all the members. Indbank Merchant Banking Services Limited has opened new branch offices at Tenkasi and Vijayawada. The new branches commenced operations on 21.05.2010 and 27.05.2010 respectively. Shri G Rangarajan, Deputy General Manager, Indian Bank has been appointed as the President & Wholetime Director of the company from 28.04.2010 in place of Shri Pravinbhai Naranbhai Patel who has resigned as President & Wholetime Director consequent to his retirement from the services of Indian Bank. Mr. G Rangarajan aged 55 is a M. A. (Economics) and has P.G. Diploma in Portfolio Management, CAIIB, AIMA Diploma in Management qualifications. He is currently occupying the position of Deputy General Manager of Indian Bank. He has more than 30 years of experience in various areas in the banking industry and out of which he has 8 years of experience in Indbank Merchant Banking Services Limited. The Board of Directors of Indbank has approved the Un-audited financial results upto the quarter ended 30.09.2009 at the Board meeting held on 27.10.2009. Indbank has made a Profit Before Tax of Rs.255.84 lakhs upto the quarter ended 30.09.2009 as against a Profit Before Tax of Rs.646.09 lakhs in the corresponding period of the previous year. Indbank has made a Net Profit After Tax of Rs.41.63 lakhs upto the quarter ended 30.09.2009 as against a Net Profit After Tax Rs.601.56 lakhs in the corresponding period of the previous year. The Board of Directors of Indbank has approved the Un-audited financial results for the quarter ended 30.06.2009 at the Board meeting held on 25.07.2009. Indbank has made a Profit Before Tax of Rs.389.75 lakhs for the quarter ended 30.06.2009 as against a Profit Before tax of Rs.427.96 lakhs in the corresponding period of the previous year. Indbank has made a Net Profit After Tax of Rs.303.42 lakhs for the quarter ended 30.06.2009 as against a Net Profit after tax of Rs.301.72 lakhs in the corresponding period of the previous year. Indbank Merchant Banking Services Limited (Indbank) has opened a new branch office at Cuddalore. The new branch was inaugurated on 14.08.2009 by Shri Anup Sankar Bhattacharya, Chairman, Indbank Merchant Banking Services Ltd. and Executive Director, Indian Bank in presence of Shri. P.N Patel President and Whole Time Director, Shri. P. Mugundan, Executive Vice President & Company Secretary, Indbank, and Shri. M Senthil, Branch Head, Indbank, Cuddalore. Indbank has convened the 20th Annual General Meeting of the company on 19.08.2009 at 3.00 p.m at Indian Bank Management Academy for Growth & Excellence (IMAGE), MRC Nagar, Raja Annamalaipuram, Chennai - 600 028 to approve accounts and to transact other business listed in the notice dated 15.07.2009 which has been posted to all the members. Indbank Merchant Banking Services Limited (Indbank) has opened a new branch office at Thanjavur. The new branch was inaugurated on 04.06.2009 by Shri A Subramanian, Chairman, Indbank Merchant Banking Services Ltd. and Executive Director, Indian Bank in presence of Shri. P.N Patel President and Whole Time Director, Indbank, Smt K Malathy, Deputy General Manager, Indian Bank, Shri. P. Mugundan, Executive Vice President & Company Secretary, Indbank, and Shri. T Poovel, Branch Head, Indbank, Thanjavur. Indbank Merchant Banking Services Limited (Indbank) has opened new branch offices and launched Indbankonline Stock Trading Points at Trichy and Pune. The new branches and indbanbkonline stock trading points at Trichy and Pune were inaugurated on 22.01.2009 and 24.01.2009 respectively. The Board of Directors of Indbank has approved the financial results for the year 2008-09 at the Board meeting held on 7.5.2009. Indbank has made a Loss Before Tax of Rs.33.23 lakhs in the year 2008-09 as against a profit before tax of Rs.3810.27 lakhs in the previous year. Indbank has made a Net Loss After Tax of Rs.722.61 lakhs in the year 2008-09 as against a net profit of Rs.3454.95 lakhs in the previous year. The Board of Directors has also recommended a dividend of Re.0.75 per equity share being 7.5% on the par value of Rs.10/- per share to be appropriated from the profits of the company absorbing Rs.332.84 lakhs, subject to the approval of shareholders in the ensuing Annual General Meeting. The Board of Directors of Indbank has approved the Un-audited financial results for the quarter ended 31.12.2008 at the Board meeting held on 23.01.2009. Indbank has made a Profit Before Tax of Rs.546.96 lakhs upto the quarter ended 31.12.2008 as against Rs.3246.37 lakhs in the corresponding period of the previous year. Indbank has made a Net Profit After Tax of Rs.504.08 lakhs upto the quarter ended 31.12.2008 as against Rs.3003.24 lakhs in the corresponding period of the previous year. Shri Pravinbhai Naranbhai Patel, Deputy General Manager, Indian Bank has been appointed as the President & Wholetime Director of Indbank Merchant Banking Services Limited, a subsidiary of Indian Bank from 21.10.2008. Mr. Pravinbhai Naranbhai Patel aged 58 years is an M.Sc with DBIM, DEIM and CAIIB qualifications. He has more than 32 years of experience in various areas in the banking industry. The Board of Directors of Indbank has approved the Un-audited financial results for the quarter ended 30.09.2008 at the Board meeting held on 21.10.2008. Indbank has made a Profit Before Tax of Rs.646.09 lakhs upto the quarter ended 30.09.2008 as against Rs.2191.78 lakhs in the corresponding period of the previous year. Indbank has made a Net Profit After Tax of Rs.601.56 lakhs upto the quarter ended 30.09.2008 as against Rs.1970.56 lakhs in the corresponding period of the previous year. Cumulative income upto the quarter Rs.925.25 lakhs and cumulative profit after tax upto the quarter was Rs.601.56 lakhs. Market value of quoted investments (Cost Rs 15.81 Crore) stands at Rs. 24.31 Crore. In the first half of 2008-09, IBMBS has established five exclusive CTCL Stock Trading Terminals and Online Stock Trading Points at CMDA-Egmore, Madkpakkam, Pollachi, Karikudi and Dindigul. IBMBS has obtained approval of SEBI and NSE for undertaking derivatives trading and has commenced Derivatives Trading from September 2008. IBMBS has obtained deposit based membership in BSE for undertaking BSE operations in Capital Markets and excepts to commence operations by middle of November 2009. IBMBS has obtained NSE Listing and the shares were admitted for trading in NSE with effect from 8.10.2008. The company is now listed in BSE and NSE. Indbank Merchant Banking Services Limited had applied to National Stock Exchange of India Ltd for listing of its Equity shares in NSE and the application was approved by them vide their letter dated 6.10.2008. 44378200 Equity Shares with a face value of Rs.10/- each of Indbank will be admitted to dealings on the National Stock Exchange of India with effect from 8.10.2008 with the symbol "INDBANK"
The Board of Directors of Indbank has approved the Un-audited financial results for the quarter ended 30.06.2008 at the Board meeting held on 29.07.2008. Indbank has made a Profit Before Tax of Rs.427.96 lakhs for the quarter ended 30.06.2008 as against Rs.1875.09 lakhs in the corresponding period of the previous year. Indbank has made a Net Profit After Tax of Rs.301.72 lakhs for the quarter ended 30.06.2008 as against Rs.1686.13 lakhs in the corresponding period of the previous year. The Board of Directors of Indbank has approved the financial results for the year 2007-08 at the Board meeting held on 16.4.2008. Indbank has made a Profit Before Tax of Rs. 3810.27 lakhs in the year 2007-08 as against Rs. 2142.05 lakhs in the previous year. Indbank has made a Net Profit After Tax of Rs. 3454.96 lakhs in the year 2007-08 as against Rs. 2117.17 lakhs in the previous year. Indbank Merchant Banking Services Limited (Indbank) has opened a new branch office and launched Indbankonline Stock Trading Point at Puducherry. The new branch and indbanbkonline stock trading point, the cyber based stock trading facility by a public sector company was inaugurated on 19.03.2008 by Thiru N. Rangasamy Honourable Chief Minister, Puducherry in the presence of Thiru R Siva, MLA, Orleanpeth Constituency & Thiru A Subramanian, Executive Director, Indian Bank and Shri. S. Annadurai, President and Whole Time Director, Indbank, Shri. M. Savarimuthu, General Manager & Circle Head, Indian Bank, Puducherry, Shri. P. Mugundan, Vice President (Finance) & Company Secretary, Indbank and Shri. P M Sukumar, Vice President, Indbank, Puducherry. Read More..
Indbank Merchant Banking Services Limited (Indbank) has opened a new Stock Broking Terminal and launched Indbankonline stock trading point at Anna Nagar, Chennai. The new stock broking terminal and indbanbkonline stock trading point, the first cyber based stock trading facility by a public sector company, was inaugurated on 13.02.2008 by Shri.A. Subramanian, Executive Director, Indian Bank, in the presence of Shri. S.K. Bandyopadhyay , General Manager, Indian Bank, Shri. S. Annadurai, President and Whole Time Director, Indbank, and Shri. P. Mugundan, Vice President (Finance) & Company Secretary, Indbank. Read More.. The Board of Directors of Indbank has approved the Un-audited financial results for the quarter ended 31.12.2007 at the Board meeting held on 29.01.2008. Indbank has made a Profit Before Tax of Rs.3246.37 lakhs upto the quarter ended 31.12.2007 as against Rs.791.51 lakhs in the corresponding period of the previous year. Indbank has made a Net Profit After Tax of Rs.3003.24 lakhs upto the quarter ended 31.12.2007 as against Rs.725.47 lakhs in the corresponding period of the previous year. The Board of Directors of Indbank has approved the Un-audited financial results for the quarter ended 30.09.2007 at the Board meeting held on 27.10.2007. Indbank has made a Profit Before Tax of Rs.2191.78 lakhs upto the quarter ended 30.09.2007 as against Rs.242.75 lakhs in the corresponding period of the previous year. Indbank has made a Net Profit After Tax of Rs.1970.56 lakhs upto the quarter ended 30.09.2007 as against Rs.177.42 lakhs in the corresponding period of the previous year. Indbank has opened a new branch office at Hyderabad. The branch was inaugurated on 28.08.2007 by Shri. Vepa Kamesam, Managing Director, Institute of Insurance & Risk Management, Hyderabad, Ex-Deputy Governor, RBI, Ex-Managing Director, SBI in the presence of Shri. A. Subramanian, Executive Director, Indian Bank, Shri. S. Annadurai, President and Wholetime Director, Indbank, Shri. Mohammed Najamuddin, Deputy General Manager & Circle Head, Indian Bank, Shri. P. Mugundan, Vice President (Finance) & Company Secretary, Indbank and Shri. K Sridhar, Vice President, Indbank, Hyderabad. Read More..
Indbank has convened the 18th Annual General Meeting of the company on 18.08.2007 at 11.00a.m at Indian Bank Management Academy for Growth & Excellence (IMAGE), MRC Nagar, Raja Annamalaipuram, Chennai � 600 028 to approve accounts and to transact other business listed in the notice dated 19.07.2007 which has been posted to all the members. The Board of Directors of Indbank has approved the Un-audited financial results for the quarter ended 30.06.2007 at the Board meeting held on 19.07.2007. Indbank has made a Profit Before Tax of Rs. 1875.09 lakhs in the quarter ended 30.06.2007 as against Rs. 108.96 lakhs in the corresponding period of the previous year. Indbank has made a Net Profit After Tax of Rs.1686.13 lakhs in the quarter ended 30.06.2007 as against Rs.102.63 lakhs in the corresponding period of the previous year. Receipt of the order of the Court according their confirmation for the reduction of share premium account and forfeited shares account for reducing the accumulated losses. The High Court vide their order dated 16.2.2007 accorded their confirmation for the reduction of share premium account from Rs.666070000 to Rs.Nil , forfeited shares account from Rs.159000 to Rs.Nil and to effect such reduction by adjusting the debit balance in the Profit & Loss account and reducing the same by Rs.666229000. Accordingly the debit balance in the Profit & Loss account of Rs.956830964 as on 31.3.2006 would stand reduced to Rs.290601964 on giving effect to the order. During the quarter ended 31.12.2006 Indbank Merchant Banking Services Limited (Indbank) has earned a gross income of Rs.655.43 lakhs as against Rs.194.22 lakhs in the corresponding quarter of the previous year Cumulatively Indbank has earned a gross income of Rs.1036.31 lakhs upto the quarter ended 31.12.2006 in the current financial year 2006 � 07 as against Rs.519.57 lakhs in the corresponding period of the previous year. Indbank has earned a profit before tax of Rs.548.76 lakhs in the quarter ended 31.12.2006 as against Rs.81.34 lakhs in the corresponding quarter of the previous year. Cumulatively Indbank has earned a profit before tax of Rs.791.51 lakhs upto the quarter ended 31.12.2006 in the current financial year 2006 � 07 as against Rs.199.26 lakhs in the corresponding period of the previous year. Indbank has earned a profit after tax of Rs.548.05 lakhs in the quarter ended 31.12.2006 as against Rs.38.97 lakhs in the corresponding quarter of the previous year. Cumulatively Indbank has earned a profit after tax of Rs.725.47 lakhs upto the quarter ended 31.12.2006 in the current financial year 2006 � 07 as against Rs.69.69 lakhs in the corresponding period of the previous year. The earnings per share for the quarter ended 31.12.2006 was Rs.1.23 per share as against Rs.0.09 per share in the corresponding quarter of the previous year. The cumulative earnings per share upto the quarter ended 31.12.2006 was Rs.1.63 per share as against Rs.0.16 per share in the corresponding period of the previous year. The market value of quoted investments (cost - Rs.15.18 crore) of the company as on 31.12.2006 was Rs.71.72 crore. Indbank is a subsidiary of Indian Bank engaged in Merchant Banking, Stock broking, Depository Participant and allied activities. Indbank is registered with SEBI as a Merchant Banker. Indbank is a member of National Stock Exchange, Madras Stock Exchange and OTCEI and is also registered with NSDL as a Depository Participant. Indbank is also registered with Association of Mutual Funds of India (AMFI) for distribution of Mutual fund products as part of its broking business. Indbank has its Registered office at Chennai. Indbank has branches at Chennai, Mumbai, New Delhi, Bangalore, Coimbatore and Ahmedabad. Indbank has a mix of institutional and individual clients and have achieved a stock broking turnover of Rs. 1336 crores upto the quarter ended 31.12.2006 in the current financial year 2006 � 07 as against Rs. 1098 crores in the corresponding period of the previous year. Indbank proposes to increase its operations under fee-based business by entering, Futures and Options segment of NSE, Portfolio Management Services and by establishing branch offices at Kolkatta, Hyderabad, Baroda, Pondicherry, Madurai and Tirunelveli in the year 2006 � 07 increasing the network of branches to 12 from the current level of 6. Indbank also plans to expand further by establishing 6 more branches in 2007 � 08 which will increase the total number of branches to 18. During the centenary year of the parent Bank, Indbank has launched IndbankOnline, the online trading portal system that enables the customers to carry on dealings in stocks and shares from anywhere. Indbank has entered into an agreement with Indian Bank for the provision of Online trading facilities to the customers of Indian Bank. For availing this facility the customer has to open a net banking account and demat account with Indian Bank and online trading account with Indbank. This would enable the customer to trade from anywhere under the internet based trading system. This will benefit all customers having account with CBS branches of Indian Bank for undertaking stock market operations. Indian Bank is proposing, subject to market conditions and other considerations, a Public Issue of its Equity Shares and has filed a Red Herring Prospectus with SEBI. The Red Herring Prospectus is available on the respective websites of the BRLMs at www.sbicaps.com, www.enam.com, www.icicisecurities.com & www.kotak.com. During the centenary year of the parent Bank, Indbank Merchant Banking Services Limited, subsidiary of Indian Bank has launched IndbankOnline, the online trading portal system that enables the customers to carry on dealings in stocks and shares from anywhere. The IndbankOnline, the trading portal was launched on 10.01.2007 by Dr.K.C. Chakrabarty, Chairman and Managing Director of Indian Bank in the presence of Shri. M. S. Sundara Rajan, Executive Director, Indian Bank, Dr. Raja J. Chelliah, Eminent Economist, Chairman Emeritus, Madras School of Economics and Director of Indbank Merchant Banking Services Limited, Shri. T. M. Nagarajan, Former Wholetime Member, Securities and Exchange Board of India and Director, Indbank Merchant Banking Services Limited, Shri. S. Annadurai, President and Whole Time Director, Indbank Merchant Banking Services Limited, Senior Executives of Indian Bank and host of other Dignitaries. Distribution of Mutual Fund & Investment Products registered with the Association of Mutual Funds of India (AMFI). Indbank Merchant Banking Services Limited has offices at Chennai, Mumbai, Delhi, Bangalore, Coimbatore, and Ahmedabad. Indbank proposes to increase its operations under fee-based business by entering, Futures and Options segment of NSE, Portfolio Management Services and by establishing branch offices at Kolkatta, Hyderabad, Baroda, Pondicherry, Madurai and Tirunelveli in the year 2006 � 07 increasing the network of branches to 12 from the current level of 6. Indbank also plans to expand further by establishing 6 more branches in 2007 � 08 which will increase the total number of branches to 18. Indbank Merchant Banking Services Limited has entered into an agreement with Indian Bank for the provision of Online trading facilities to the customers of Indian Bank. For availing this facility the customer has to open a net banking account and demat account with Indian Bank and online trading account with Indbank Merchant Banking Services Limited. This would enable the customer to trade from anywhere under the internet based trading system. This will benefit all customers having account with CBS branches of Indian Bank for undertaking stock market operations. Along with launching of IndbankOnline, Dr. K. C. Chakrabarty CMD of Indian Bank also inaugurated the new premises of Indbank Merchant Banking Services Limited at I Floor, Khivraj Complex I, 480, Anna Salai, Nandanam, Chennai � 600 035. Indian Bank is proposing subject to market conditions and other considerations a Public Issue of its Equity Shares and has filed a Draft Red Herring Prospectus with SEBI. The Draft Red Herring Prospectus is available on the Website of SEBI at www.sebi.gov.in and all respective websites of the BRLMs at www.sbicaps.com, www.enam.com, www.icicisecurities.com & www.kotak.com. The Board of Directors of Indbank has approved the Un-audited financial results for the quarter ended 30.9.2006 at the Board meeting held on 27.10.2006. Indbank has made a Profit Before Tax of Rs. 133.79 lakhs in the quarter ended 30.9.2006 as against Rs. 74.41 lakhs in the corresponding period of the previous year. Cumulatively, Indbank has made a Profit Before Tax of Rs. 242.75 lakhs upto the quarter ended 30.9.2006 as against Rs. 116.91 lakhs in the corresponding period of the previous year. Indbank has made a Net Profit After Tax of Rs.74.89 lakhs in the quarter ended 30.9.2006 as against Rs.22.18 lakhs in the corresponding period of the previous year. Cumulatively, Indbank has made a Net Profit After Tax of Rs.177.42 lakhs upto the quarter ended 30.9.2006 as against Rs.30.72 lakhs in the corresponding period of the previous year. The Board of Directors of Indbank has approved the Un-audited financial results for the quarter ended 30.6.2006 at the Board meeting held on 19.7.2006. Indbank has made a Profit Before Tax of Rs.108.96 lakhs in the quarter ended 30.6.2006 as against Rs.42.50 lakhs in the corresponding period of the previous year. Indbank has made a Net Profit After Tax of Rs.102.53 lakhs in the quarter ended 30.6.2006 as against Rs.8.54 lakhs in the corresponding period of the previous year. The Board of Directors of Indbank has approved the financial results for the year 2005-06 at the Board meeting held on 27.4.2006. Indbank has made a Profit Before Tax of Rs.349.30 lakhs in the year 2005-06 as against Rs.305.63 lakhs in the previous year. Indbank has made a Net Profit After Tax of Rs.204.26 lakhs in the year 2005-06 as against Rs.156.74 lakhs in the previous year. The Board of Directors of Indbank at its meeting held on 27.4.2006 has passed the resolution for reduction and adjustment of the Securities Premium of the company amounting to Rs.66,60,70,000 and forfeited shares account of Rs.1, 59,000 aggregating Rs.66,62,29,000 against the debit balance in the Profit & Loss account as on March 31, 2005 of Rs.97, 72,57,065 reducing the same by Rs.66, 62,29,000, subject to the consent of the shareholders at the ensuing Annual General Meeting of the company, the confirmation of the High Court at Chennai and other appropriate authorities in this regard. Indbank has convened the 17th Annual General Meeting of the company on 24.6.2006 at 11.00 a.m. at Indian Bank Management Academy for Growth & Excellence (IMAGE), MRC Nagar, Raja Annamalaipuram, Chennai 600 028 to approve accounts and to transact other business listed in the Notice dated 27.04.2006 which has been posted to all the members. Pursuant to Section 154 of the Companies Act 1956, the Register of Members and Share Transfer Books of the company will remain closed from 16.06.2006 to 24.06.2006 (both days inclusive).